December's incoming titles make for a satisfying mix of the new and returning, with a number of genuine standouts that haven't been seen on Netflix (or not seen for a long time, anyway). Directors such as David Fincher, Michael Mann, Peter Weir, Martin Scorsese, Francis Ford Coppola, Cameron Crowe, and Robert Rossen are represented, as is a certain superspy by the name of Bond, James Bond. Add in a dash of Paul Newman, a pinch of Will Smith, and a spoonful or two of Jim Carrey, David Bowie, and James Caan, with a garnish of Jo(h)ns—Wayne, Travolta, and Voight—and you've got some tasty treats of cinematic goodness. Where are the women, you ask? Good question. Among the better titles, there's Jodie Foster, Jennifer Connelly, and Charlize Theron, but most of the films with strong female leads fall decidedly in the crappy category (yes, Demi Moore, Nicole Kidman, and Shelly Long, I'm talkin' to you). An ode to 1970s rock and roll, Cameron Crowe's autobiographical Almost Famous (2000) is the writer-director's most personal film, even beyond its status as a fictionalized account of Crowe's early years as a teen rock journalist for Rolling Stone. While (convincingly) portraying a very specific time and place in his young existence—life on the road with a Led Zeppelin-like rock band—Almost Famous is also a kind of looking glass into everything Crowe was to do as a filmmaker in the years to come, shining a light into the soul of a man whose sentiments and musical taste would enrich such films as Fast Times at Ridgmont High, Say Anything, Jerry Maguire, and even the underrated Elizabethtown. The film abounds with humor, charm, and Crowe's distinctive sense of humanity, not to mention a killer classic rock soundtrack (authentically enhanced by Nancy Wilson's era-appropriate originals) and a cast to die for—starting with the young Patrick Fugit, whose ingenuous performance holds its own with those of Frances McDormand, Billy Crudup, and Phillip Seymour Hoffman. That's to say nothing of Kate Hudson's luminous turn as Penny Lane, still considered her defining performance (even after so many bad rom-coms), or the very funny Jason Lee as the fictional band Stillwater's insecure frontman. If this theatrical version of Almost Famous feels slightly lumpy and truncated (the longer, "Bootleg" cut provides some needed breathing room), there's no denying the film's warm, beating, nostalgic heart. American Beauty (1999) has received a lot of revisionist flak in the years since it took the critics (and Oscars) by storm. Directed by Sam Mendes, an award-winning theater director then making his cinematic debut, and written by TV writer Alan Ball (later of True Blood), the film is accomplished on just about every front. Kevin Spacey's central (and Oscar-winning) performance may be what's remembered most—especially as it marked a kind of peak for the actor before a series of poorly chosen (and self-indulgent) roles—but even a few minutes' viewing quickly remind you of Conrad Hall's delicious cinematography, Thomas Newman's hypnotic (and now unfortunately cliched) score, and the performances by the large ensemble, especially Annette Bening as the randy real estate agent. The film, a Best Picture winner, may have become an easy target for parody, but it still represents the kind of smart, adult storytelling that Hollywood has decided is no longer worth the investment (just ask Steven Soderbergh). Martin Scorsese's latest exploration of macho badassery, 2013's The Wolf of Wall Street, hits Netflix on December 11. I haven't seen it yet (don't judge me), but you can bet I'm looking forward to all its coke- and money-fueled excess. Also showing up this month—after briefly appearing and disappearing last month—is Zhang Yimou's 2004 poetic martial arts drama, House of Flying Daggers, with Takeshi Kaneshiro, Andy Lau, and the always mesmerizing Zhang Ziyi. Only a notch below Crouching Tiger, Hidden Dragon in quality, it's well worth a look for fans of beautifully choreographed fight scenes and equally beautiful costumes. Meanwhile, one of my all-time favorites, Bernardo Bertolucci's The Conformist (1970), arrived at the end of November. A full review is on the way, but for now I'll just say I'd trade it in a minute for all those midlevel '80s classics that expired in November. 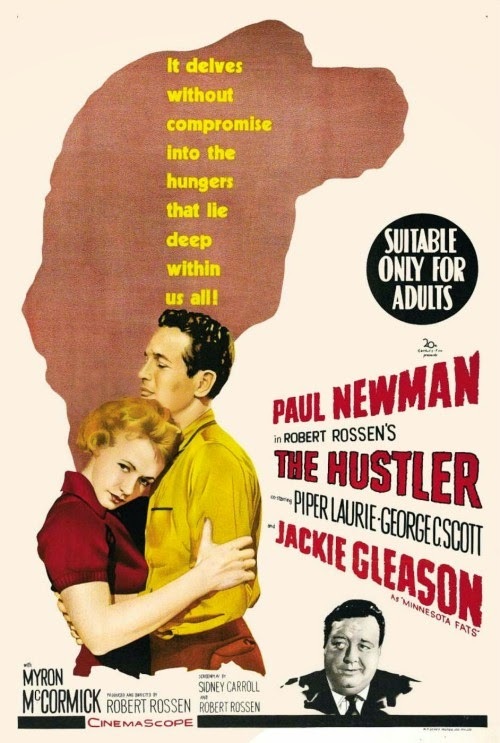 Speaking of classics, the most significant to find its way to streaming this month is Robert Rossen's great pool-shark drama, The Hustler (1961), with Paul Newman in his prime as Fast Eddie Felson. Joining him in this celebration of seedy black-and-white pool halls are Jackie Gleason (in his greatest dramatic role), George C. Scott, and Piper Laurie. Based on a novel by Walter Tevis—who would later write The Man Who Fell to Earth—this was also the inspiration for the belated, not-bad sequel, The Color of Money (1984), directed by Scorsese and pairing Newman with an overamped Tom Cruise. The pickings are otherwise slim for pre-1980 titles in December, but Adios Sabata, a 1971 western starring Yul Brynner (the second part of a trilogy), and Hondo, a 1953 John Wayne western based on a Louis L'Amour novel, are worth noting if only for their rarity. I can't remember the last time I heard the names of these movies, much less when they were readily available. Before he made his name producing TV's Miami Vice and directing The Last of the Mohicans, Heat, and The Insider, Michael Mann was carving out a career as a stylish, indie-style genre director. His first feature film was Thief (1981), a moody exercise in style, soundtrack, and noir-ish city streets. Starring James Caan and Tuesday Weld, the film would anticipate much of the director's later work, leading naturally to 1984's Miami Vice and 1986's Manhunter, not to mention later classics like Collateral (and 2001's Ali, returning this month to Instant). In the guilty pleasure category: 2 Days in the Valley (1996), a brutal, Tarantino-esque indie crime thriller which features not only a fun turn from the dependably sleazy James Spader, but an impressively solid ensemble cast that includes Danny Aiello, Jeff Daniels, Keith Carradine, Louise Fletcher, and a va-va-voom debut by one Charlize Theron (whose bedroom scene with Spader and violent tussle with Teri Hatcher have made many an Internet highlight reel). And then there's Andrei Konchalovsky's Runaway Train (1985). Undeservedly lumped in with a spate of bad Cannon Group action films that glutted the market in the 1980s, this was one of the handful that producers Menaham Golan and Yoram Globus actually got right. Much of that had to do with Konchalovsky, who had already made one quality film for them, 1984's Maria's Lovers, and would direct two more Golan-Globus productions in the next two years (with diminishing returns). Working from a story based on an Akira Kurosawa script, the film's restricted setting on a (yes) runaway train belies its ultimately mythic scope. 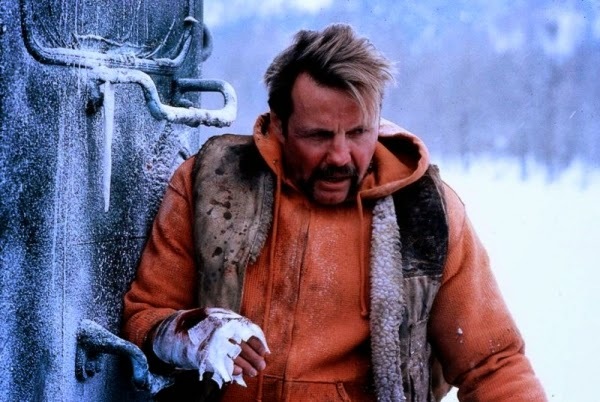 There's a primal quality to it that's tough to shake off, aided immensely by the gritty performances of Jon Voight, Eric Roberts, and Rebecca DeMornay—all of whom turn in some of their best work. I, for one, can't wait to see this one again, especially now that it's joined that other nail-biting speeding train flick on Netflix, Snowpiercer (reviewed here). Jim Henson and his non-Muppet puppets arrive this month in the form of two elaborate '80s fantasies, The Dark Crystal (1982) and Labyrinth (1986). 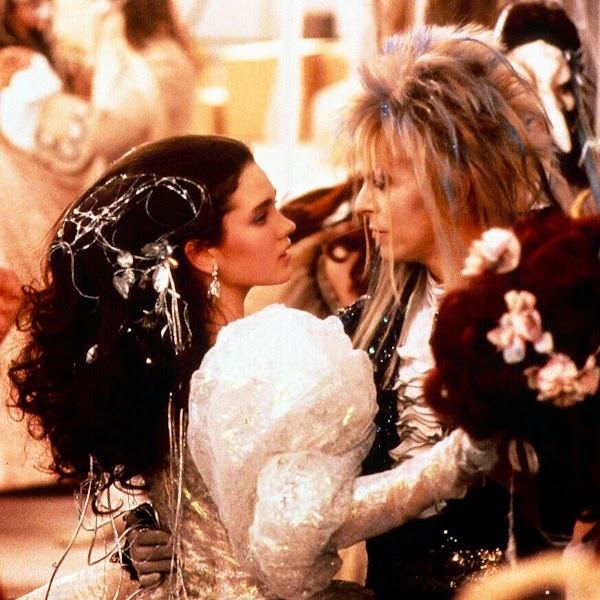 Neither film was a big success upon its release—the latter was an unequivocal flop, making back only half of its $25 million budget—yet both have attained a cult status in the years since, especially Labyrinth, notable for its twisted coming-of-age tale featuring a 15-year-old Jennifer Connelly and a singing David Bowie as the Goblin King. 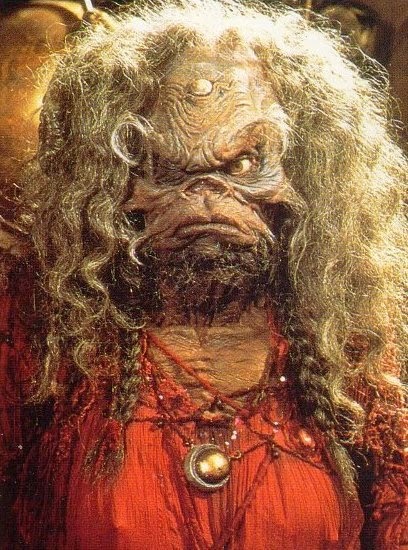 In both films, the designs (by Brian Froud), animatronic puppetry, and physical effects are outstanding, especially for the time, and really speak to the artistry and ambition of Henson, who directed both productions (partnering with Frank Oz for The Dark Crystal). Both films also display an unexpected darkness for what is ostensibly family fare, with Labyrinth making a conscious effort to be lighter and funnier even if the disturbing sexual undertones between Connelly and Bowie will be obvious to adults (and are partly what give the film its depth). From '80s oddities to timeless childrens classics, these should make a great double feature to keep kids occupied while you surreptiously wrap holiday presents in the other room. After reading about the BBC anthology series, Black Mirror, over the past year, I was pleased to see Charlie Brooker's acclaimed drama make its way to Netflix. With their technological, satirical slant on the modern world, the show's six episodes (three per season) have been described as a hybrid of The Twilight Zone and Tales of the Unexpected. I've so far watched only the first episode, and it was indeed provocative and disturbing—in a good way. Rod Serling would be pleased. I've already mentioned the return of Michael Mann's Ali, starring Will Smith as the titular boxing legend (to be joined on the 11th by the 2014 documentary, I Am Ali). But there are a few other welcome returnees, including Brian DePalma's Mission: Impossible (1996), the first of the big-budget action movies inspired by the classic 1960s TV show (one that, despite its quality, I'm still bitter about for its treatment of Jim Phelps and overall lack of team spirit). 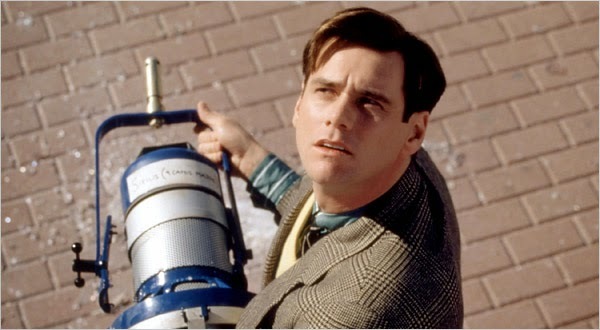 There's also David Fincher's Panic Room (2002), a tense, high-tech woman-in-peril flick starring Jodie Foster protecting her kid from home invaders; Peter Weir's funny and accomplished satirical fantasy, The Truman Show (1998), starring a restrained Jim Carrey and an amusingly pretentious Ed Harris; and the disco-defining classic, Saturday Night Fever (1977), which is far better than you might expect (or remember), and in fact received a full writeup last year. Last but not least, there's the return of those persnickety Francis Ford Coppola films (listed below), accompanied as always by those two Coppola-produced curiosities, Hammett (1982) and The Escape Artist (1982); plus the first sighting of classic James Bond flicks on Netflix since the end of June. Hang up the keys to your Aston Martin and start viewing, as chances are good these won't last into January. And the best of all: David Caruso in...Jade. There are also a bunch of Friday the 13th Movies (all of them, I think), and something called The Deadly Bees (1967), whose poster image alone is worth a chuckle. Watch at your own risk. In the last few months, some of you may have noticed the Amazon presence at the bottom of certain posts and over in the righthand column. For the most part I consider this blog my own charitable contribution to the Internet, as I've partaken of so much great free info over the years. However, maintaining this does take considerable time and effort and, as we're coming into the holiday season, it would be great if some of you would consider making occasional purchases through this site (family members excluded). If you're not interested in any of the specific DVDs or electronics advertised, you can also search for anything using the Amazon search box to the right. Then, as long as you buy one of the items found in the search results (washing machines and automobiles are encouraged), a small percentage of the purchase price will come my way—at zero cost to you. I certainly don't expect to get rich here, but every little bit helps. Thanks. Happy streaming, everyone! With school in the rearview, it looks like I'll have time to catch up with some film classics in the winter break. Particularly looking forward to Apocalypse Now and Labyrinth, and maybe Goldfinger and Runaway Train. It should be noted that the "Black Rain" available for streaming on Netflix is Ridley Scott's Yakuza movie with Michael Douglas, NOT the Shohei Imamura movie about radiation sickness in post-war Japan. Both unhelpfully were 1989. Very good point. I only knew the Ridley Scott one, which I remember liking. HOUSE OF FLYING DAGGERS now seems to have officially arrived, after blinking on and off last month. I've noted it accordingly in the first section above.